Saturday, September 16. 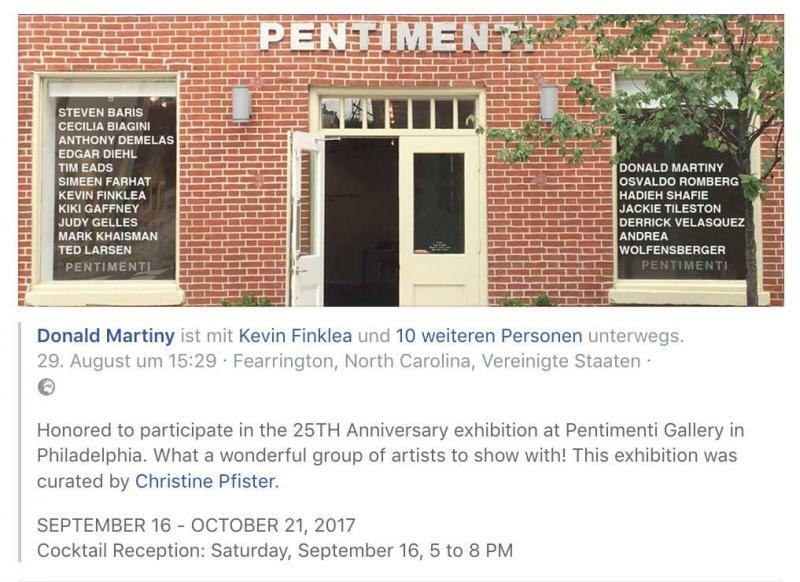 2017, "THE ENDURING REASON WHY", Pentimenti Gallery, Philadelphia, USA , till Oktober 14. To conduct a gallery based on Non Objective Art is already something. Doing it for 25 years sucessfully, merits acknowledgement and respect. I am happy to work together with Christine Pfister and her stuff, and to be part of the 25th anniversary show this autumn.